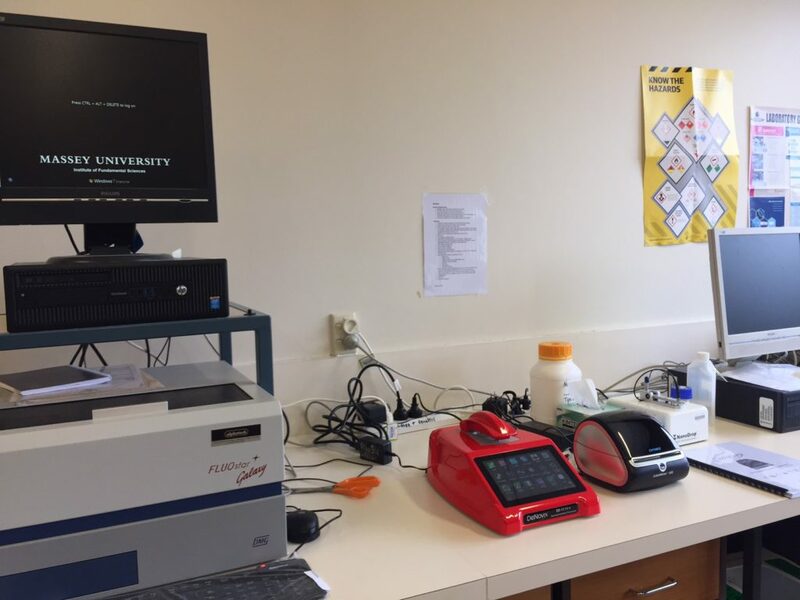 Prof. Kathryn Stowell and the team at the Institute of Fundamental Sciences have just received their Ferrari Red DeNovix Spectrophotometer/Flurometer. While we can’t guarantee that the colour will make it go as fast as a Ferrari, the DeNovix can take faster measurements of your DNA. This particular DeNovix will be used by the lab for routine DNA quant. work and likely for fluorescence & enzyme kinetics as well.